Irish Funds partners with the Institute of Banking to provide practical, relevant and flexible university programmes, specifically designed for those who work in the funds industry. All programmes are part-time and designed for those who are working and studying. Those who participate can benefit from the relevance, range and flexibility of the programmes while studying at their own pace. The Institute is a recognised college of University College Dublin (UCD) and successful participants will receive their academic awards from UCD. A UCD qualification is internationally recognised and portable. For further information on the programmes contact the Programme Director Aoife Rooney at aoife.rooney@iob.ie. 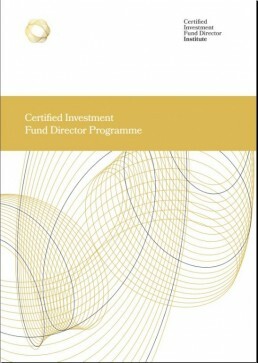 The Professional Certificate in International Investment Fund Services is a unique and specifically-designed programme to support the funds industry. The programme will be of interest and particular relevance to those working, and those seeking to work, in the funds industry. This three module programme aims to introduce, discuss and describe the investment fund from its inception through to termination. It will detail the functions and parties to a fund, the roles, responsibilities and activities of all the parties to a fund and how each interacts with each other. The Professional Certificate in Complex Financial Instruments in International Financial Services is designed for an ever increasing range of people working in the international financial services area who are engaged in activities which require a good working knowledge of the characteristics of derivative products and complex financial instruments. The objective of the programme is to provide students with not only a very practical understanding of how the most common types of complex financial instruments and derivative products are used in the financial markets, but also their use in hedging, risk management and return enhancement strategies. The Professional Diploma in Applied Alternative Investments is an opportunity for professionals working in the funds industry to develop their expertise in the growing alternative assets market. This postgraduate programme is aimed at professionals seeking specific knowledge, insights and skills in alternative investments which can be immediately applied in the day-to-day working environment. The programme is delivered in a blended format, complementing one face-to-face block of lectures over five consecutive days, with intensive reading, webinars, and self-directed learning. This programme is designed for all investment fund directors (or those with extensive management or funds experience who aspire to become investment fund directors), including those operating in director/senior management positions with both fund promoter and service provider organisations. Read about the Certified Investment Fund Director Institute and raising professional standards in investment fund governance internationally. 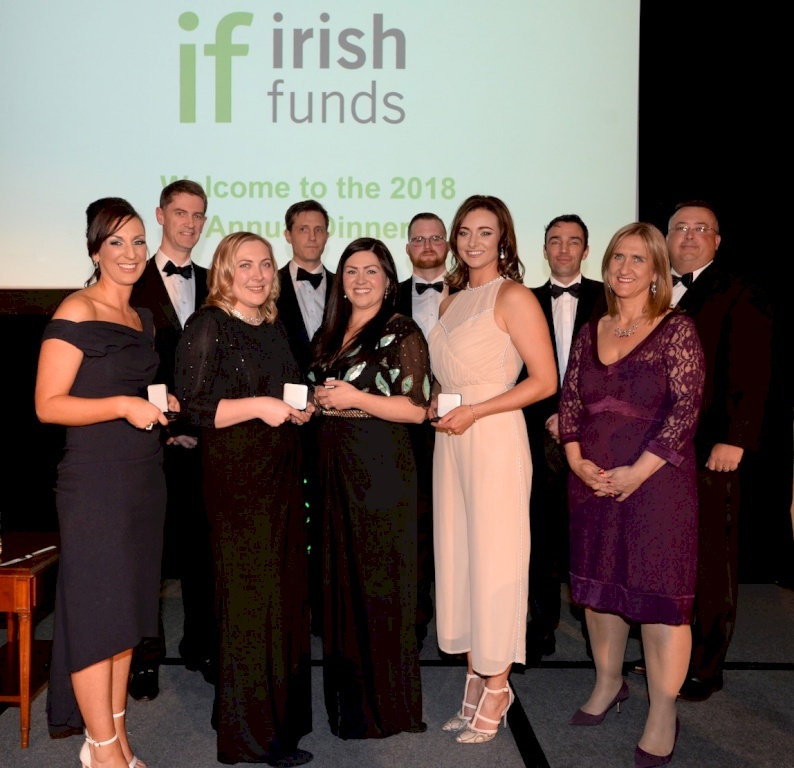 Top placed candidates receiving their awards at the Irish Funds Annual Dinner 2018, pictured with Pat Lardner CEO Irish Funds and Mary O Dea CEO The Institute of Banking. Read our publications for information on specific funds industry topics.